*Maple wood price. 3 other colors available. 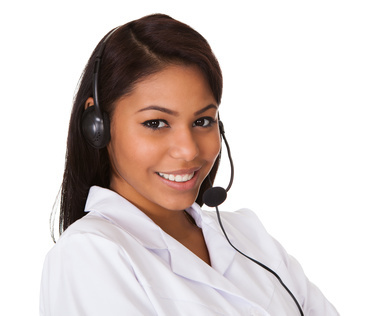 Prices vary. 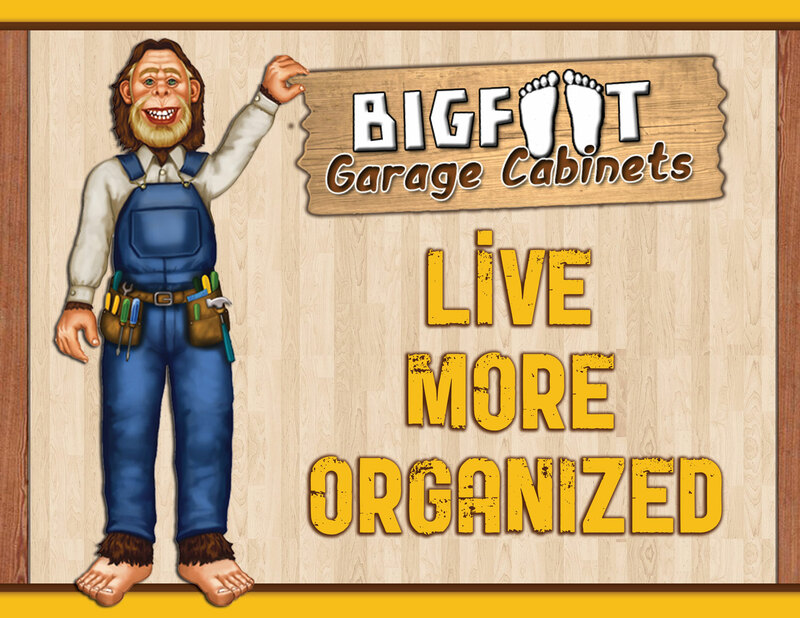 Our Bigfoot Garage Cabinets are built on our unique metal frame. 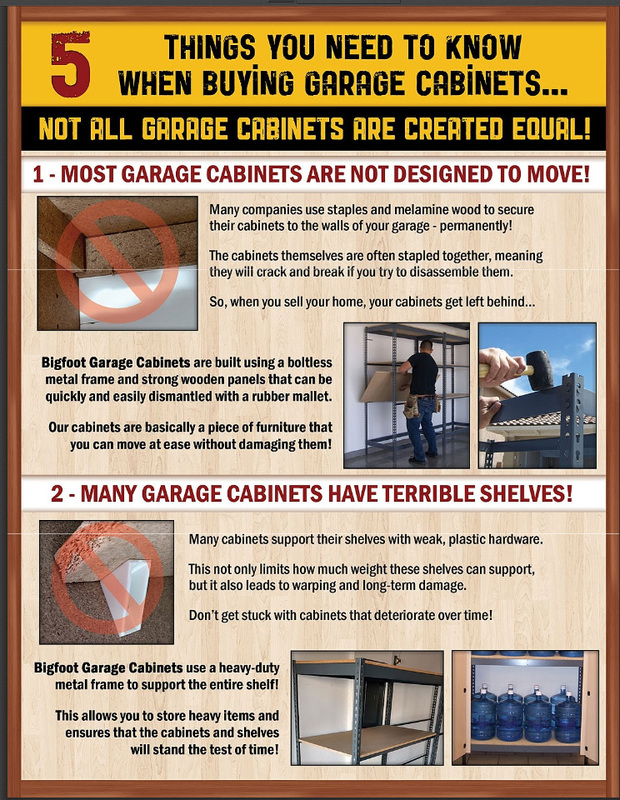 This makes the Bigfoot Garage Cabinets the strongest in the industry. 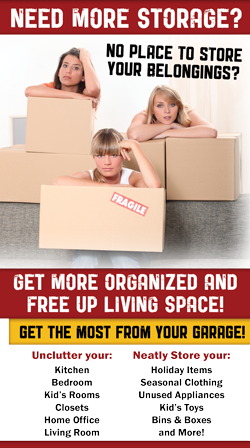 We use top-of-the-line half-inch and quarter-inch melamine wood to professionally skin your garage cabinets. 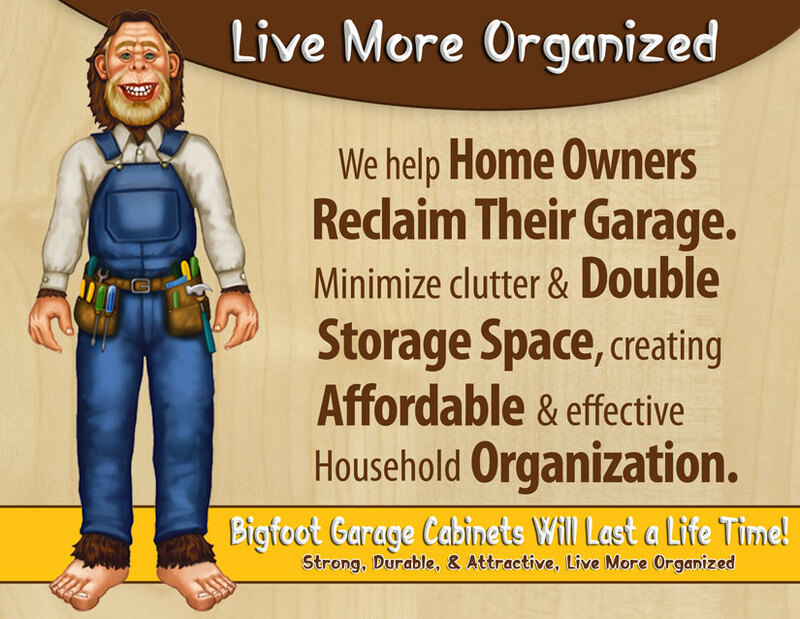 Below you’ll see a list of unique features that come with the Bigfoot Garage Storage Cabinets.